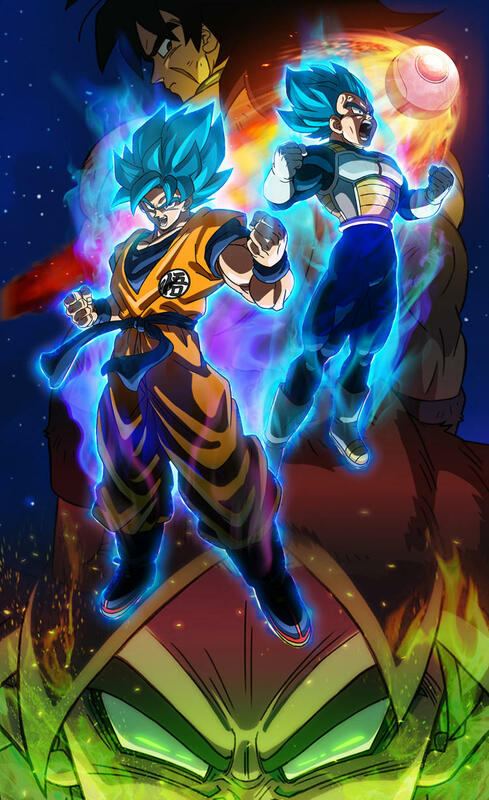 Dragon Ball Super: Broly takes place directly after the Dragon Ball Super television series, and finally brings the powerful and dangerous Saiyan known as Broly into the mix. Shortly before Freeza's destruction of Planet Vegeta, one special Saiyan was born with immeasurable and dangerous strength known as Broly. Deemed too dangerous to survive by King Vegeta, Broly and his father Paragus are banished to a harsh alien planet. Sparing them the wrath and knowledge of Freeza's extermination of the Saiyan race, but harboring a growing need for vengeance against the Saiyan King, Paragus raises and manipulates the unsuspecting Broly to use him as a tool for revenge. Discovered by Freeza, he's sent to Earth and pits Broly against Goku and Vegeta in one of the greatest challenges of their lives. Broly's power and skill is taken to dangerous and even uncontrollable levels, once again, putting the entire Earth at risk. Will Goku and Vegeta survive against this titanic force?